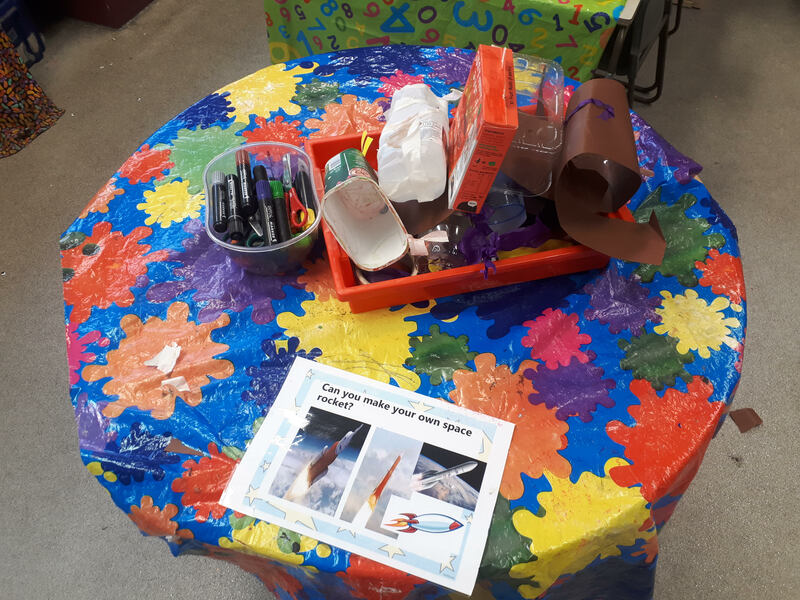 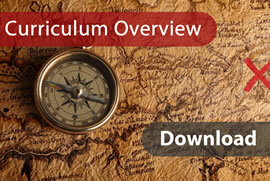 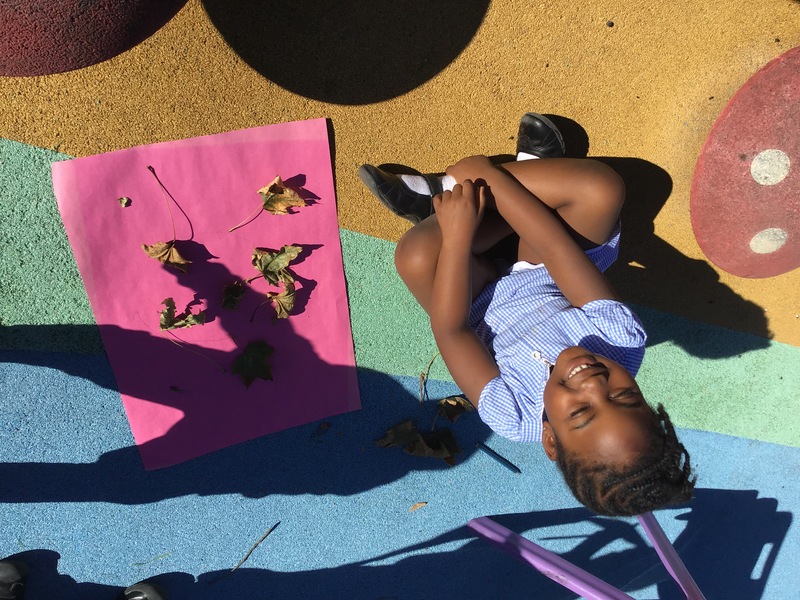 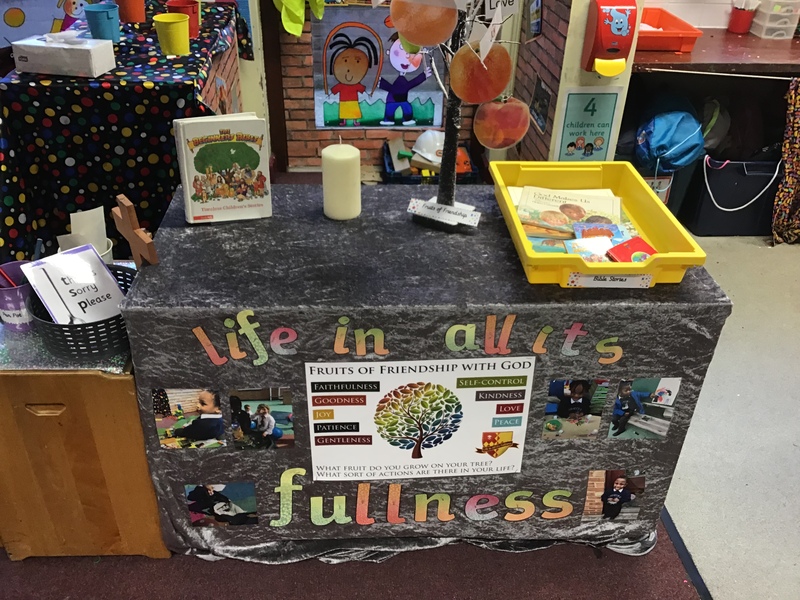 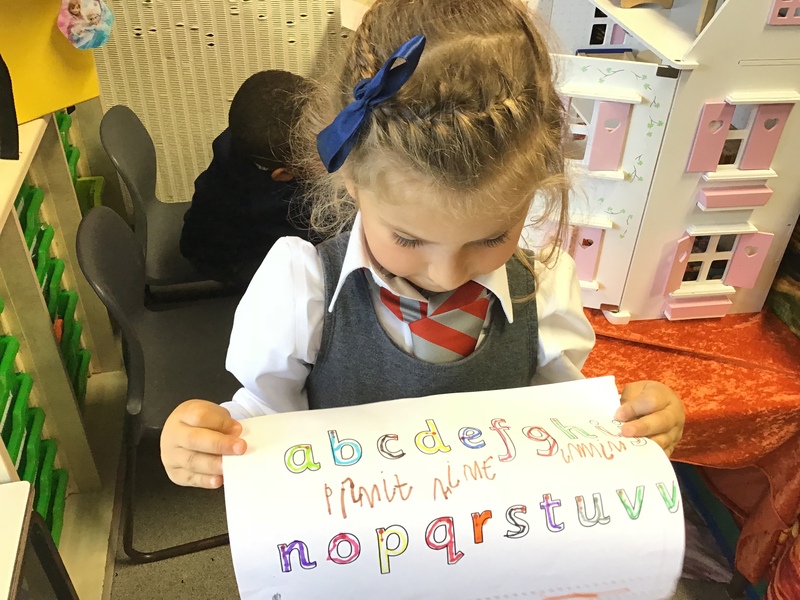 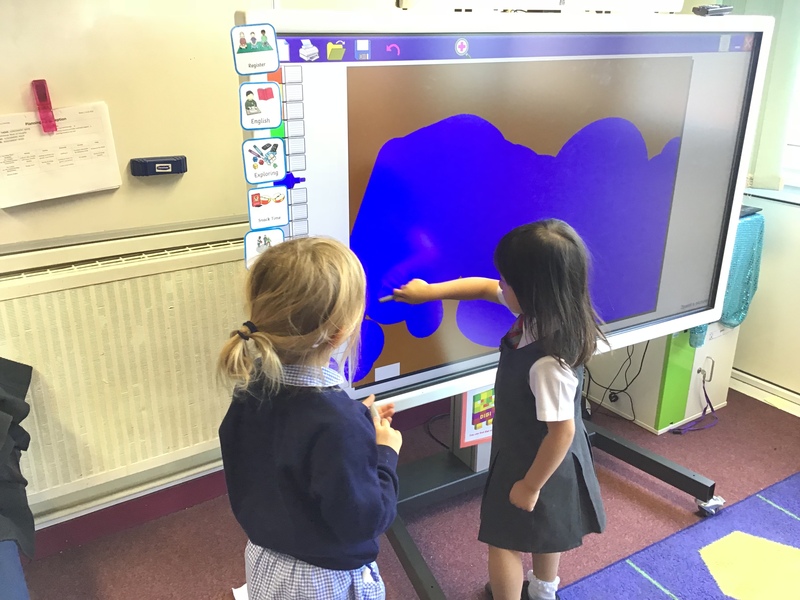 Autumn 1 Week 5 – Take a look in our classroom ! 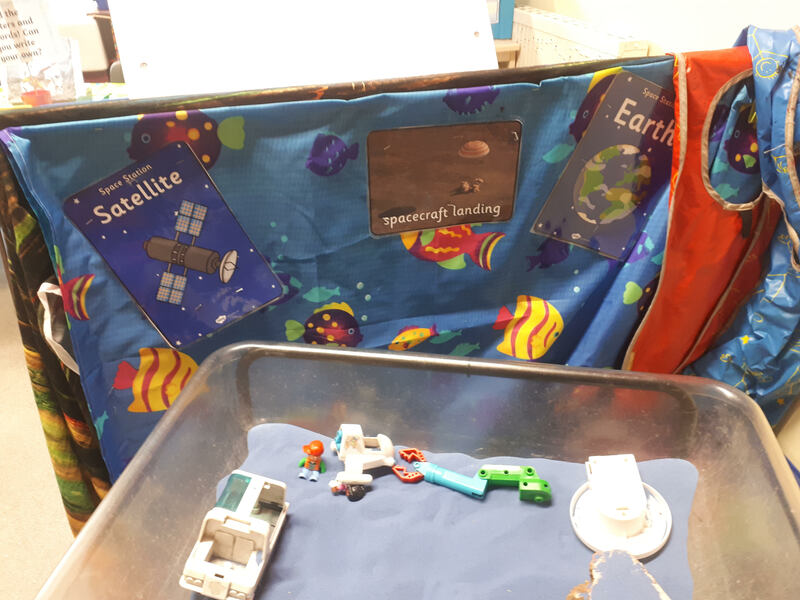 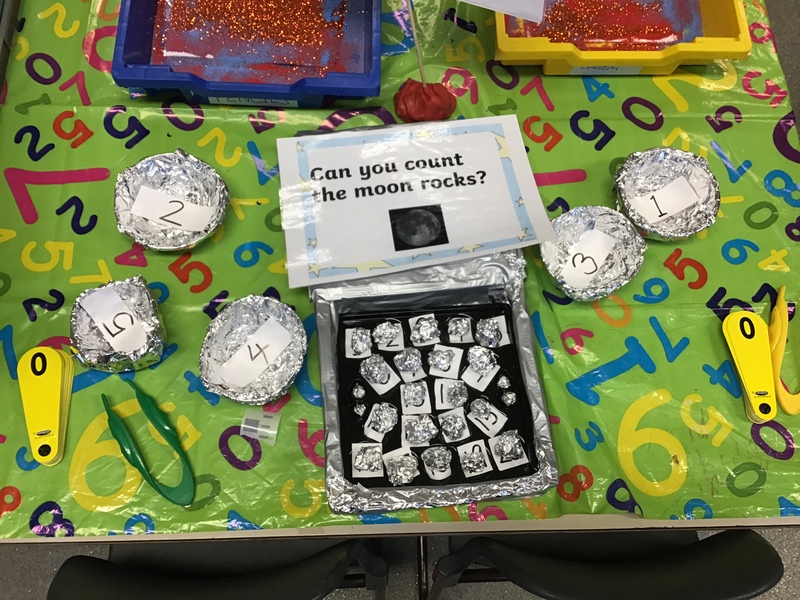 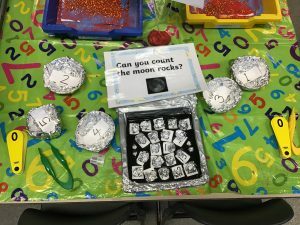 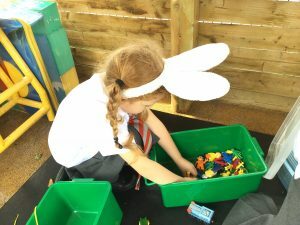 Reception had a visit from aliens this week, they delivered some objects that had been left on the moon. 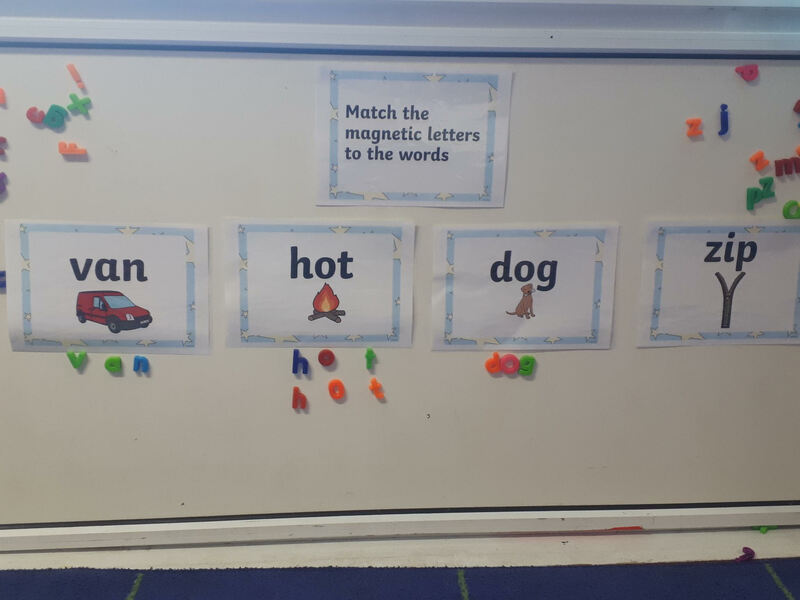 The aliens helped us to practise and write our CVC words. 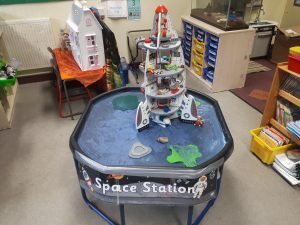 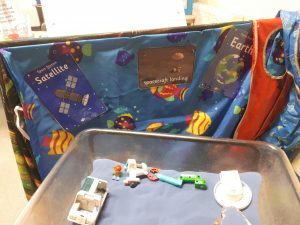 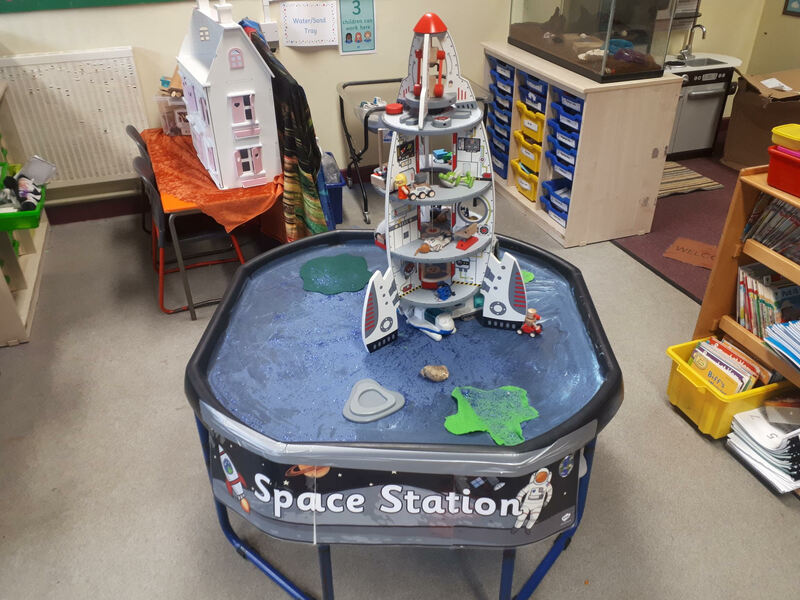 They were also very impressed with the space theme in our classroom and the other areas around the room. 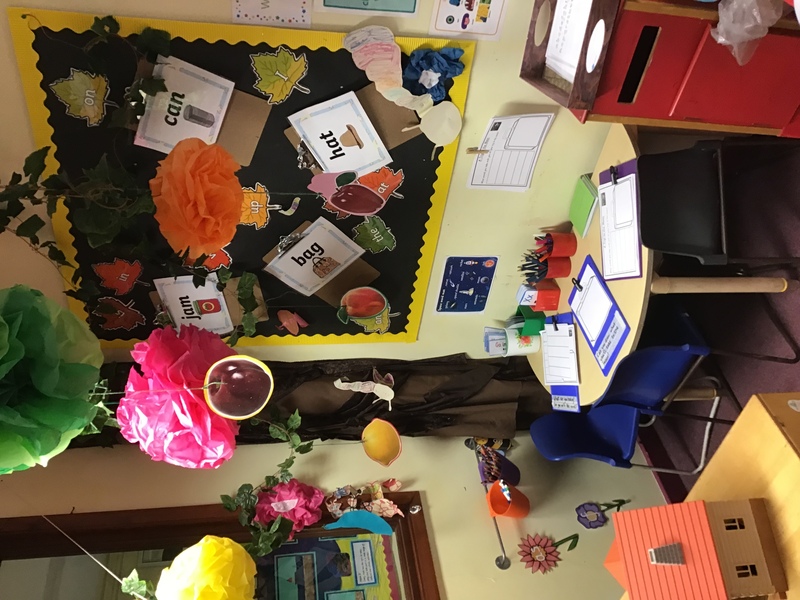 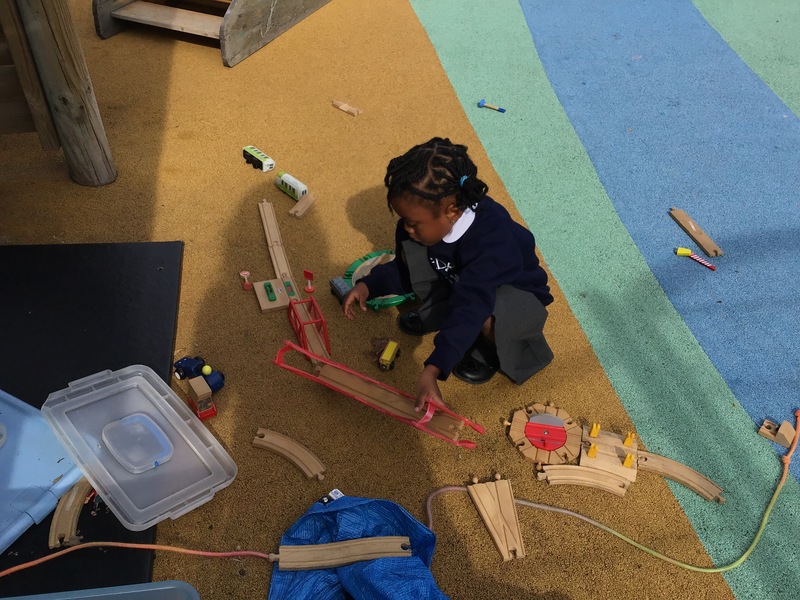 Well done Reception, you are helping to keep our classroom tidy and exciting! 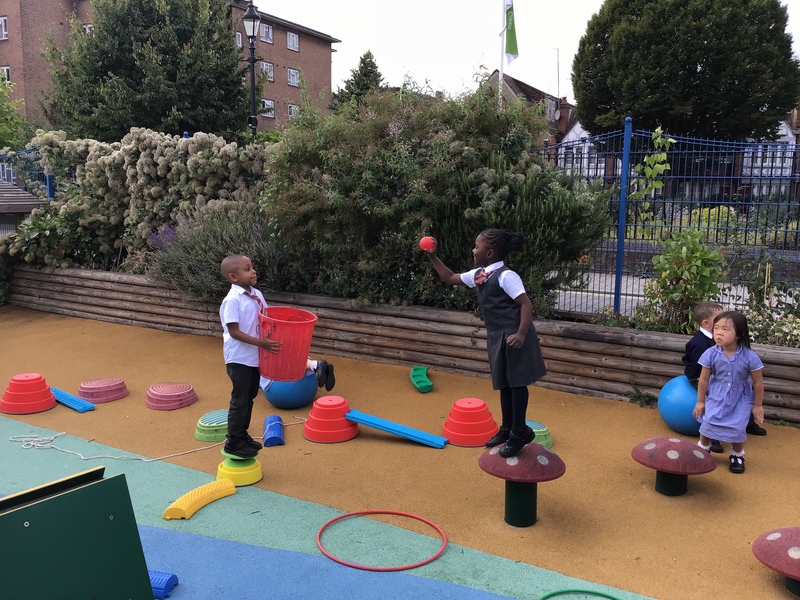 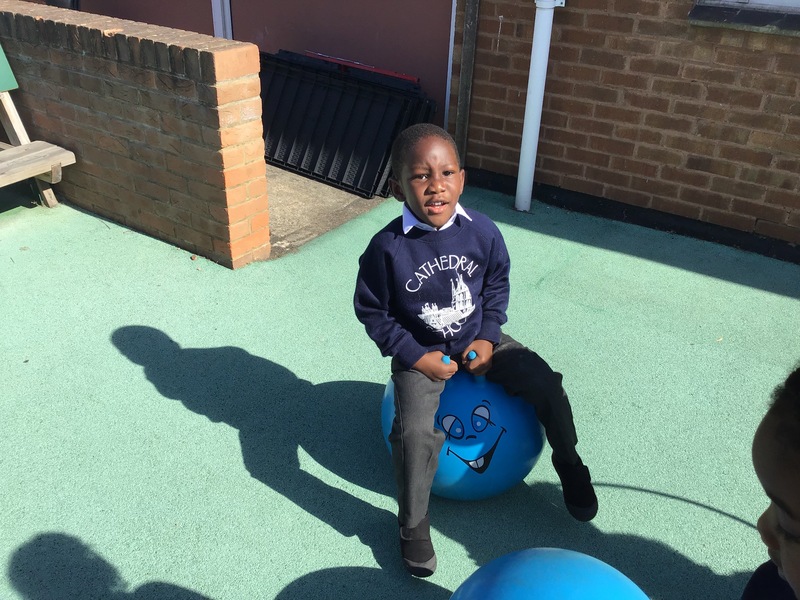 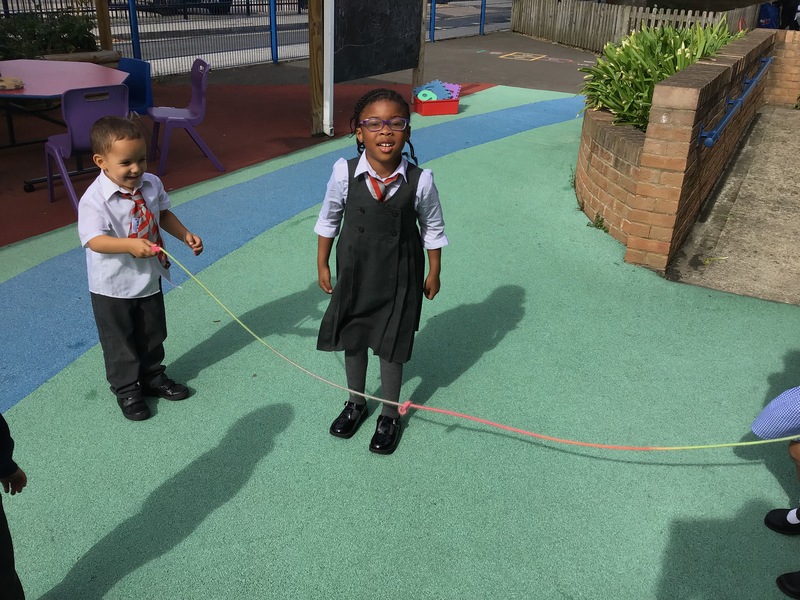 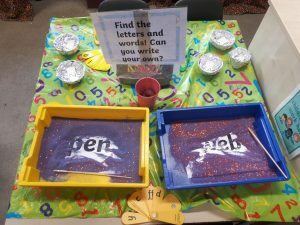 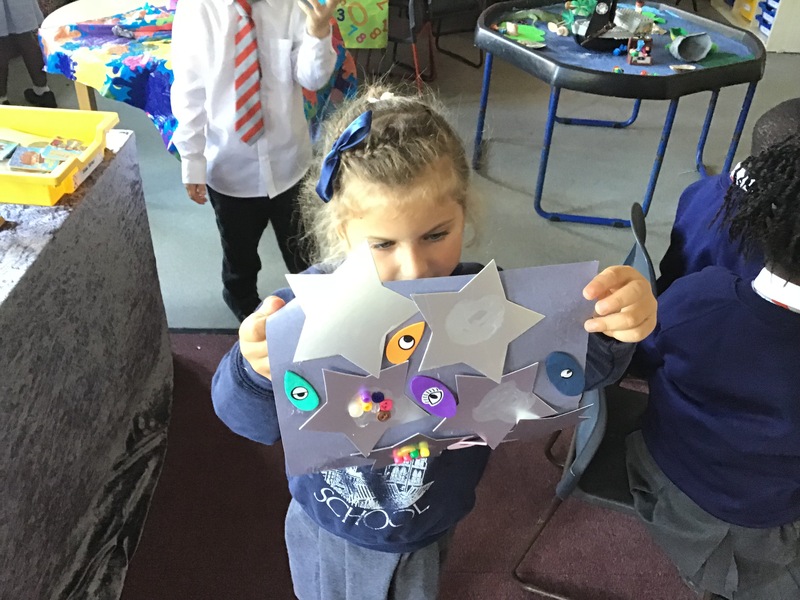 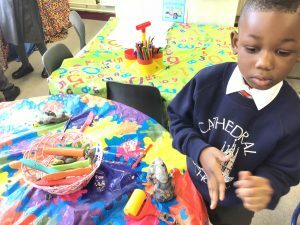 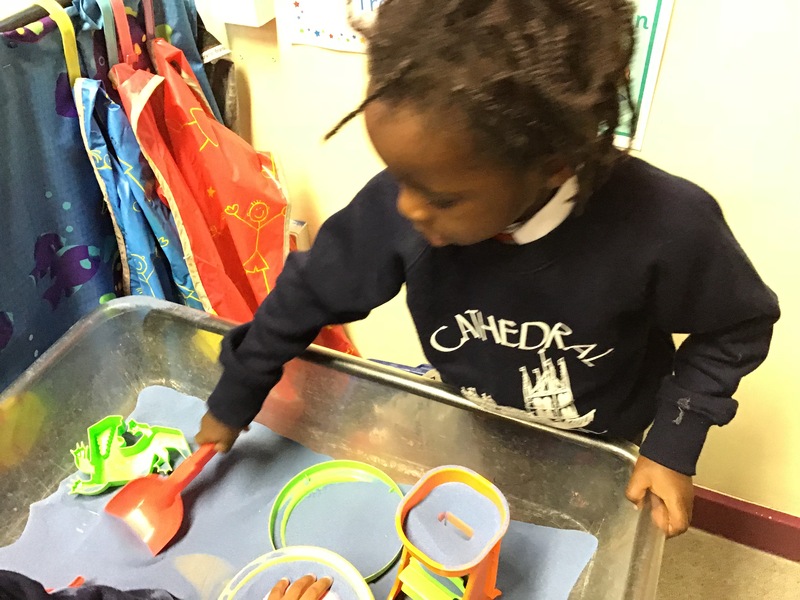 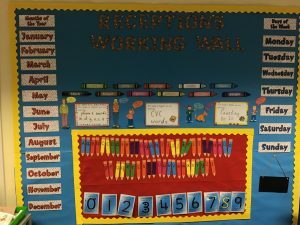 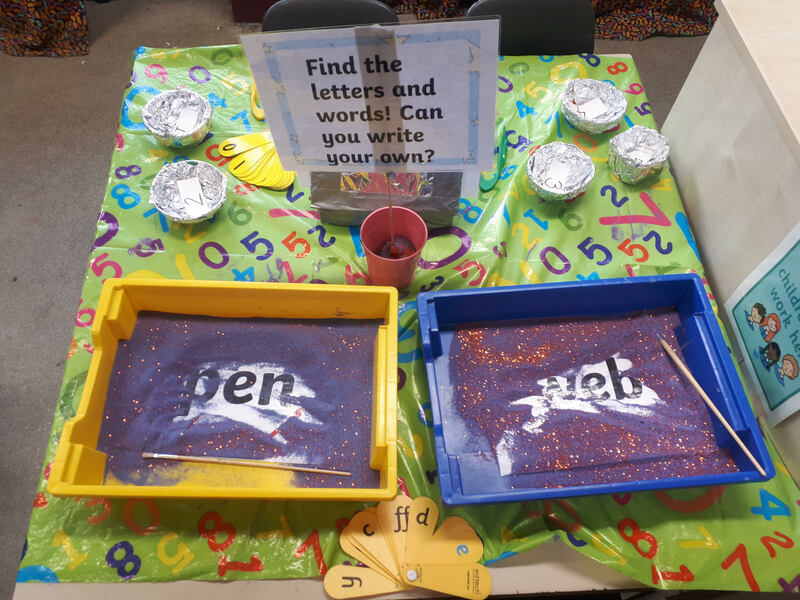 Autumn1 Week 4 – Reception shine! 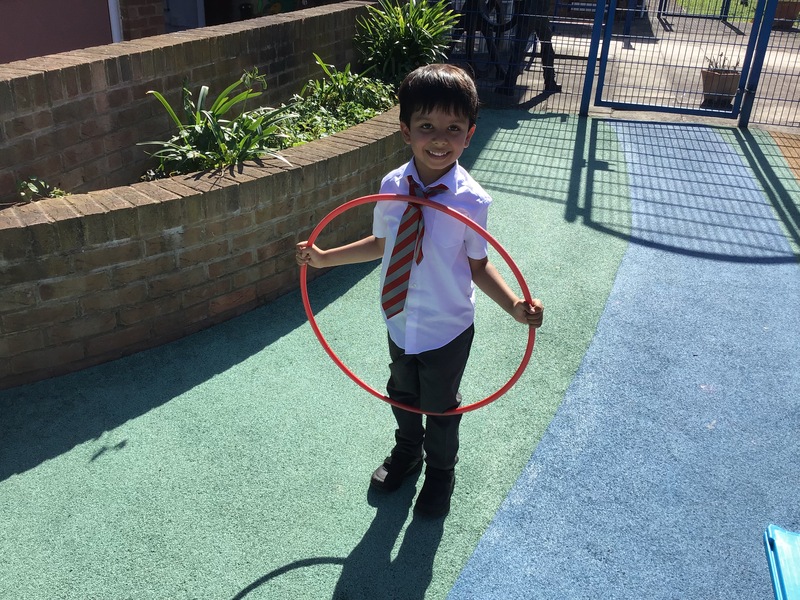 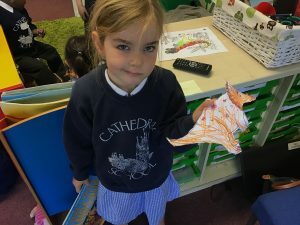 Well done to Reception children who have had another wonderful week. 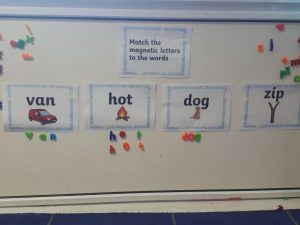 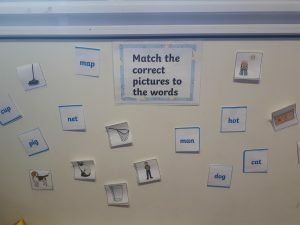 We have been working hard to learn CVC words, to support our understanding of our class text Whatever Next. 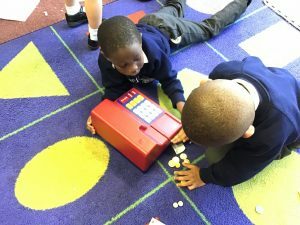 In maths, we have been learning to count to 20, using songs and number lines to help us. 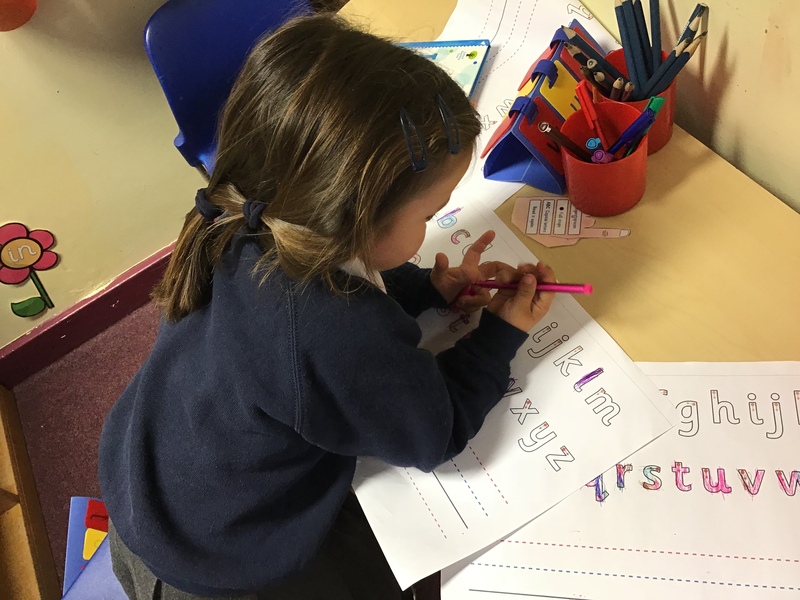 In R.E we have been discussing why we are special, as individuals, and have learnt about some of the special things that Jesus did. 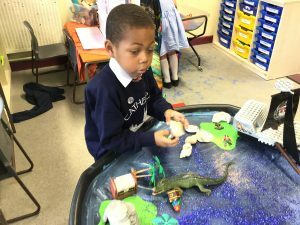 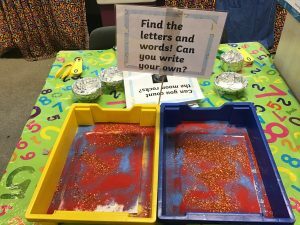 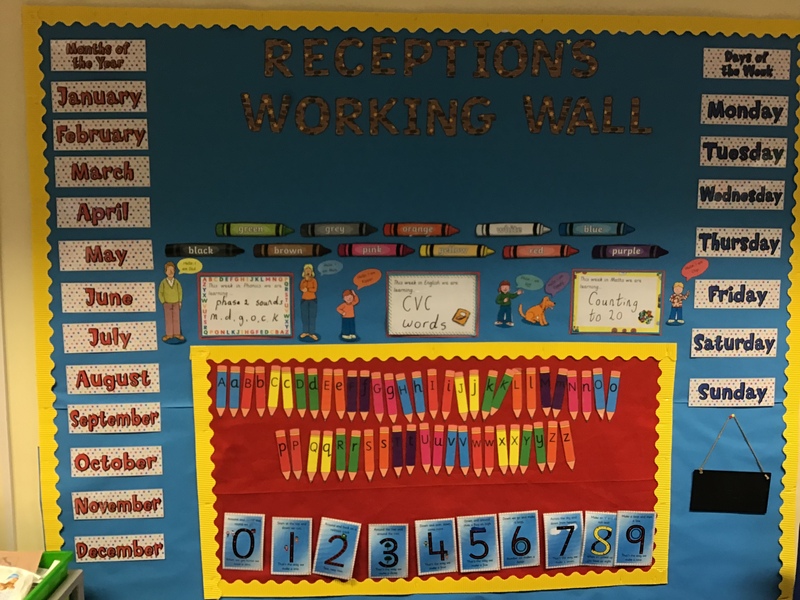 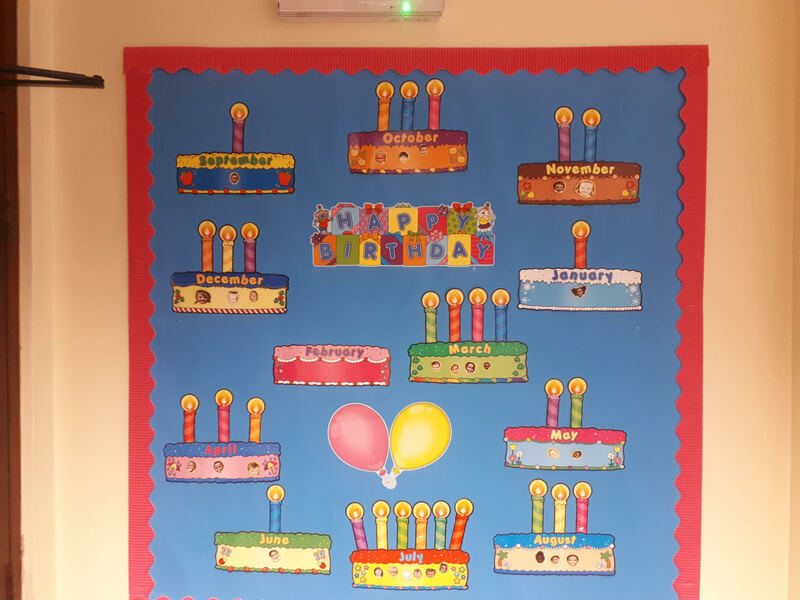 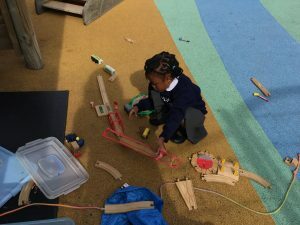 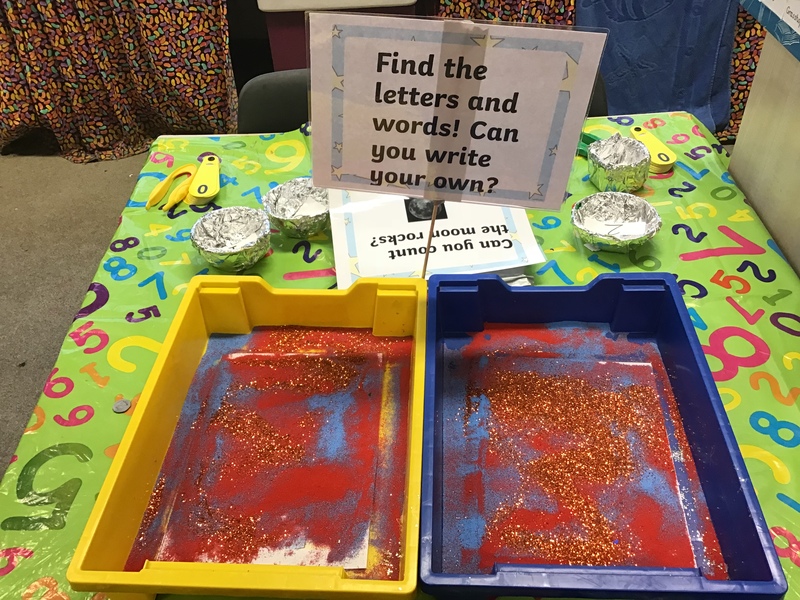 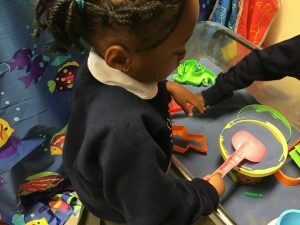 Keep up the wonderful work Reception. It is so special to see you grow as a class each day and work so hard to act sensibly in Class, building new friendships. This is the first week for Reception children as a whole class, well done to you all. We have worked hard to get to know each and learn to respect each other, which is shown in our Class Charter. 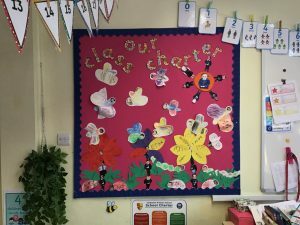 As a Rights Respecting School, it is important that we have a Class Charter to show our rights and then our rights respecting actions! 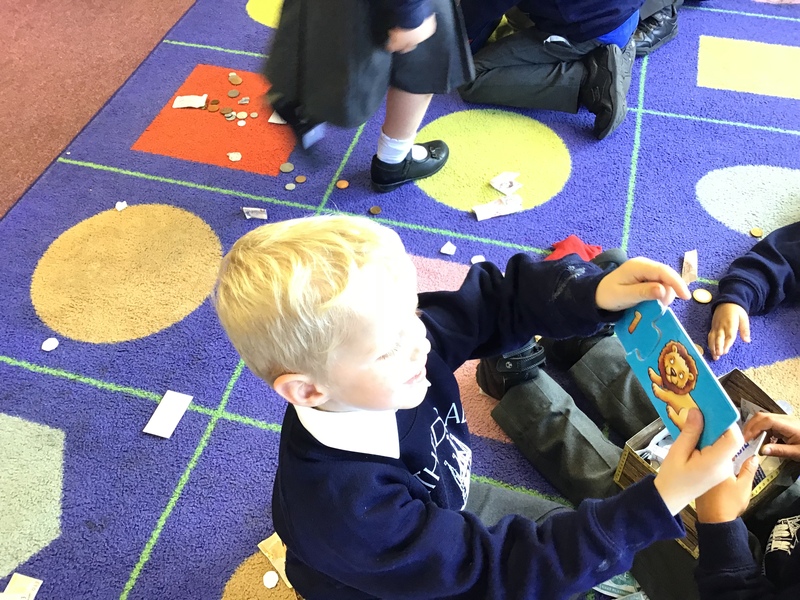 We spoke about all of the things we have a right to at school, such as being safe, being respected and learning. 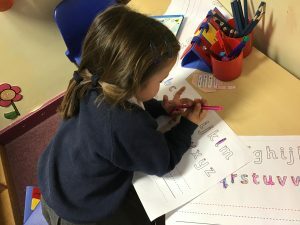 We also thought about what we need to do to ensure that everyone gets those rights. As a class, we decided that the four most important actions are to be kind to each other, to take care of our classroom, to listen to each other and to always try our best!